This guide used to be an appendix to our Mass Effect setting article, but was spun off to keep things organised. 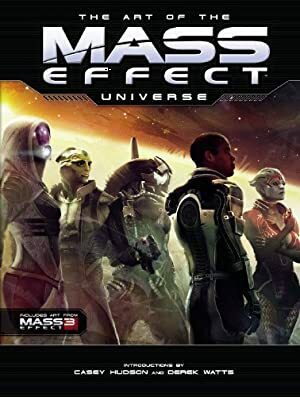 It is a guide for people who want the best graphics when playing the first Mass Effect on a modern PC. Mass Effect was released in late 2007, and the graphics rendering, while still serviceable, is now a bit old. However, if you are playing the game on a PC, it is possible to dramatically increase the quality of the graphics with a little work. The procedure below is the state of the art as of March, 2016 – these tools evolve very quickly. Get Mass Effect (via Origin, Steam or a reputable Steam key reseller. Older retail versions of the game have problems). Install it. Launch the game once, then close it. This is so it can create its settings files and stuff. Get your free DLC, called Bring Down the Sky. It is explained by this post from the EA Help Center . Install it. It adds a whole area done by Bioware. Get Catech’s greatly enhanced textures, light maps, shadows, etc. at this Nexus Mods page . 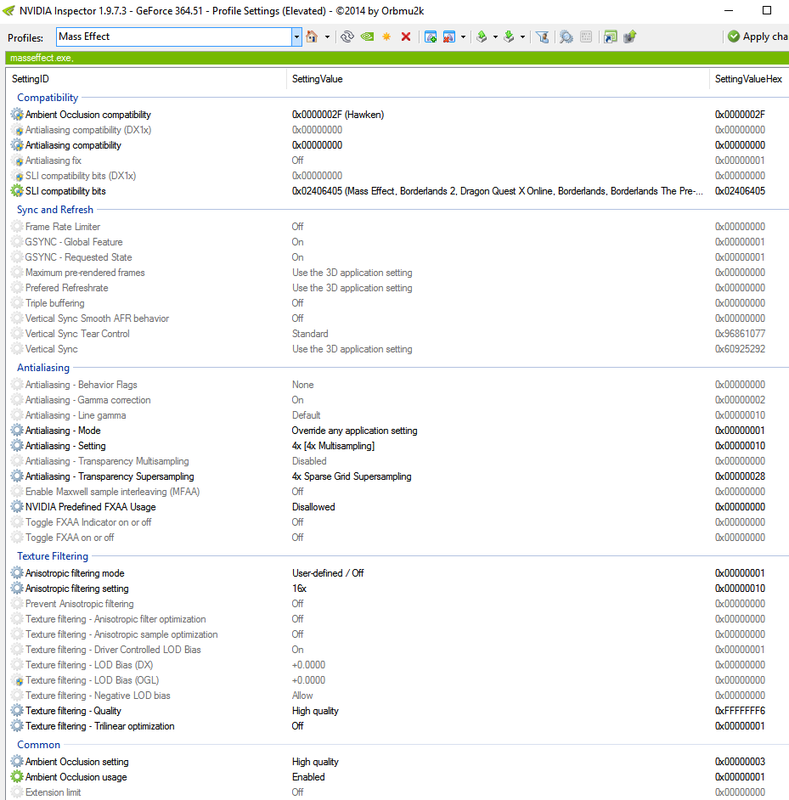 Everything has been packaged into an easy-to use installer. Keep in mind that this installer will copy thousands of files, which is going to take a while (depending upon your hard drive). 2017 edit – you can also consider the ALOT pack for ME1 . It’s a bit more complicated but comes with even more upgraded textures. Carefully follow the explanations about Large Address Aware (it allows Mass Effect to use the memory it needs to run highly detailed textures) and the bioengine.ini file (which allows the game to run the highest level of texture and shadow detail). Without LAA the game’ll crash ; without the bioengine.ini tweaks the textures will remain low-res. While you’re in bioengine.ini I’d also suggest setting the depth of field to FALSE, unless you like DoF effects. What I personally do is set the bUsePostProcessEffects string to FALSE in order to avoid ruining TiledShots with the built-in vignette effect, since to my knowledge there’s no other way to switch it off and because I don’t want depth of field anyway. If you have no idea what this paragraph meant, ignore it – it’s not important. Mass Effect has a strong tendency to overwrite the .ini files with default settings for no perceptible reason. Setting them to read-only once you’re done fiddling is the simplest approach. Make sure there isn’t an additional file for the textures mod. For instance, at this writing, there’s a “No Brow For Females Fix” available for Catech’s mod as a separate file to patch this bug. As long as you’re there endorse the mod, and leave a nice message and/or a donation to the author. Seriously, these mods are a *lot* of work. Set up the game in the Settings menu – graphics, sound, etc..
ONE WEIRD TRICK – at first glance the list of resolutions seems to stop circa 1280xsomething. The trick is to click on the double downward arrows, slightly below and slightly to the right of the menu, to scroll down to 1920×1080. Yes, it’s a terrible UI choice. Yes, there are accountable hordes who did their entire Mass Effect playthrough at pointlessly low resolutions. Yes, it’s a tragedy. If you use NVidia graphic cards and the Nvidia Inspector program, you can improve things further by using the settings below. Remember to turn off the anisotropy (by setting it to “point”) in the Mass Effect game settings – if the Nvidia driver is doing the work, there is little point in having the game do similar work in parallel. If using NVidia cards you can also use the Dynamic Super Resolution settings in the Nvidia control panel for downsampling, since a modern gaming PC should manage the load fine. If you do use high levels of DSR downsampling, driver-forced anti-aliasing becomes unnecessary. If like me you’re an image quality fanatic, you can use Reshade for shaders-based improvement.